Do you buy fresh avocados at the grocery store or from a local market? Preserving them can be hard to do if you are not sure which process to use. 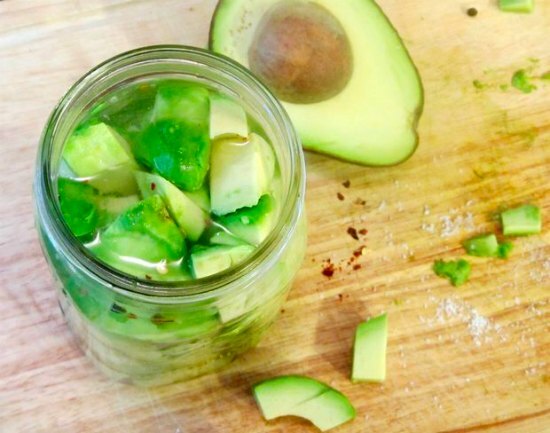 Luckily, there is a simple way for you to preserve all of the avocados you want. You just need to find out how to make pickled avocados. The process for pickled avocados will take you about six hours. If you have a few avocados you cannot use before they go bad, then pickling will be a great option. Avocados that are pickled will be a great addition to a fresh salad, with some tacos or as an ingredient when making a smoothie. Most of the ingredients you will need to make pickled avocados may already be in your kitchen. White vinegar will be the most important ingredient to have on hand. You also need mason jars with the right lids to complete the canning process.